G K Hall & Co, 1992-10-01. Hardcover. Used:Good. G. K. Hall & Co, 1992-10-01. Large Print Edition. Paperback. Good. Large print. Oversized. Light edge and corner wear, light corner chipping. Ex-library copy with usual inner and outer markings. Reading crease at spine edge, spine leans. Text block is clean and binding is tight. 456 pp. G K Hall & Co. Hardcover. 0816154872 Like New Condition. . Fine. G K Hall & Co. Hardcover. 0816154872 New Condition. . New. Domain, 1992-09-01. Mass Market Paperback. Used:Good. 1992-09-06. Good. Ships with Tracking Number! INTERNATIONAL WORLDWIDE Shipping available. May not contain Access Codes or Supplements. May be ex-library. Shipping & Handling by region. Buy with confidence, excellent customer service! Thorndike Press, 1992-10. Paperback. Good. Cengage Gale, 1992. Paperback. Acceptable. Disclaimer:A readable copy. All pages are intact, and the cover is intact. Pages can include considerable notes-in pen or highlighter-but the notes cannot obscure the text. At ThriftBooks, our motto is: Read More, Spend Less.Dust jacket quality is not guaranteed. Cengage Gale, 1992. Paperback. Acceptable. Disclaimer:A readable copy. All pages are intact, and the cover is intact. Pages can include considerable notes-in pen or highlighter-but the notes cannot obscure the text. An ex-library book and may have standard library stamps and/or stickers. At ThriftBooks, our motto is: Read More, Spend Less.Dust jacket quality is not guaranteed. Domain. Used - Good. Ships from Reno, NV. Former Library book. Shows some signs of wear, and may have some markings on the inside. 100% Money Back Guarantee. Shipped to over one million happy customers. Your purchase benefits world literacy! Domain, April 1995. Paper Back . 3 PB standard 50%. Random House Publishing Group, 1992. Mass Market Paperback. Acceptable. Disclaimer:A readable copy. All pages are intact, and the cover is intact. Pages can include considerable notes-in pen or highlighter-but the notes cannot obscure the text. At ThriftBooks, our motto is: Read More, Spend Less.Dust jacket quality is not guaranteed. Random House Publishing Group, 1992. Mass Market Paperback. Good. Disclaimer:A copy that has been read, but remains in clean condition. All pages are intact, and the cover is intact. The spine may show signs of wear. Pages can include limited notes and highlighting, and the copy can include previous owner inscriptions. At ThriftBooks, our motto is: Read More, Spend Less.Dust jacket quality is not guaranteed. Random House Publishing Group, 1992. Mass Market Paperback. Acceptable. Disclaimer:A readable copy. All pages are intact, and the cover is intact. Pages can include considerable notes-in pen or highlighter-but the notes cannot obscure the text. An ex-library book and may have standard library stamps and/or stickers. At ThriftBooks, our motto is: Read More, Spend Less.Dust jacket quality is not guaranteed. Domain, April 1995. Paperback Paperback. Good - Trade. Domain, April 1995. 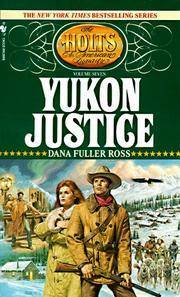 Mass Market Paperback Mass Market Paperback. Acceptable. Creases to the spine with light edgewear to cover. Pages clean and unmarked. All Orders Shipped With Tracking And Delivery Confirmation Numbers. Bantam Books, 1995. Mass Market Paperback. Good. Paperback. Sound & good copy, light to moderate rubbing/edgewear to wraps.